After booking the venue for its national sales meeting two years prior to the event, the client acquired a company and, as a result, needed to increase the event space for the additional attendees. The meeting needed to accommodate a total of 1,650 guests – 40 percent more than originally planned. After determining that the original venue didn’t have the capacity for the larger audience, SDI quickly found another nearby hotel that could house the additional guests, as well as meet the high-quality standards expected by attendees. SDI also developed a thoughtful approach to communicating the meeting logistics, with the goal to avoid the perception that one hotel was the secondary location. The meeting itself utilized teleconferencing options, preventing frequent back-and-forth travel between locations. SDI planned an awards show that required transport between one hotel and the other, and guests at both hotels traveled for the final night of the event. 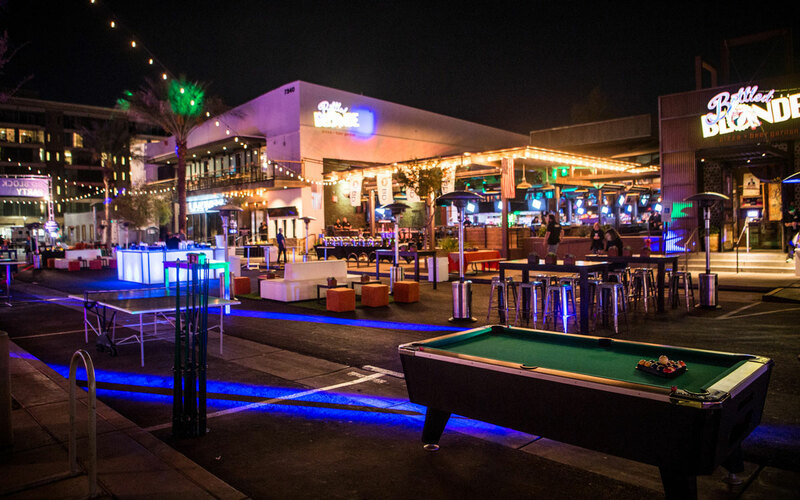 The final night of the event brought all the guests together in the beautiful Old Town district of nearby Scottsdale. SDI coordinated with local officials to section off an entire city block to accommodate the large crowd. In addition, in order to meet the food needs of the expanded meeting size, SDI supplemented a high-quality buffet with food trucks parked on the street.